Italians claim to have taught the rest of Europe how to cook. Italy is responsible for introducing the world to ice cream (via the Chinese), coffee, and fruit pies. 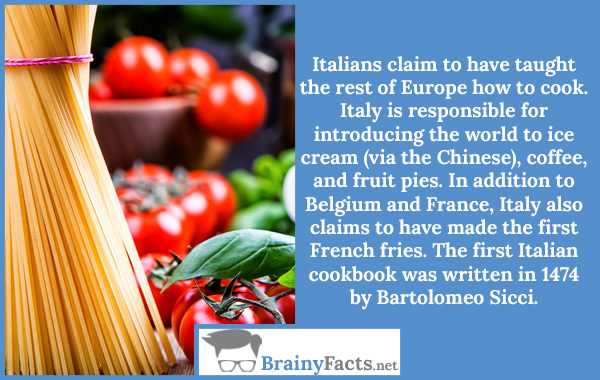 In addition to Belgium and France, Italy also claims to have made the first French fries. The first Italian cookbook was written in 1474 by Bartolomeo Sicci.